How would you retrieve all records of your communication with an Educator if asked by the Department? With FDSee, you just click and its listed, or you can search for a category or keyword. No searching through old notebooks or filing cabinets, its right there. Over time you record all interactions with the Educator to build a full picture of their history with you. It can easily help identify trends in issues of non-compliance, or assist in distribution of key information to staff. This is Family Day Care coordinated. You can also access your full Educator Register or Working With Children Check Register with one click? Try FDSee and find out how. 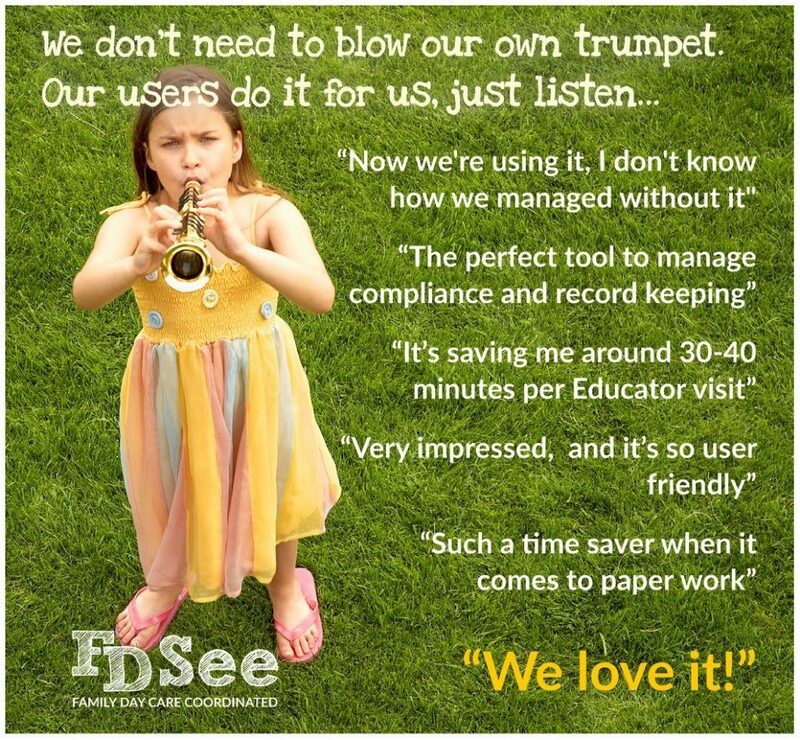 What do our users say about FDSee? We don’t need to blow our own trumpet. FDSee at the National Family Day Care Conference. Demonstrating efficiency and compliance in action. 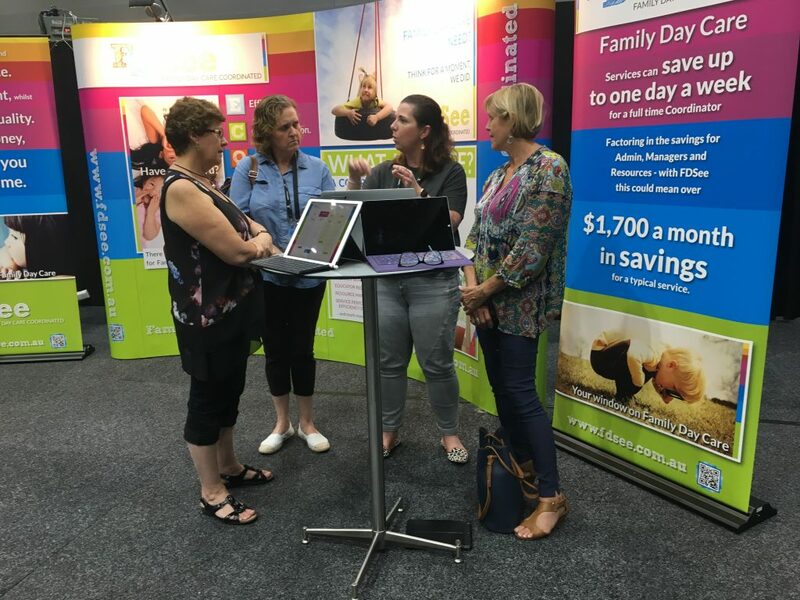 Are you going to the Family Day Care Australia conference this week? If you are come along and talk to us, and other people who are using FDSee every day, to find out what it can do for you. Are you up to date with the new fact sheet from ACECQA on record keeping in Family Day Care? FDSee covers all the bases for your Service, enabling compliance and making you more efficient. Check out the information below and click on the link for the fact sheet. Compliance getting harder? FDSee is making it easier – ask us how! How do you manage your Requests for Care? Do you have whiteboards? Multiple lists? Spreadheets? Paper? Do you wish you had a system to manage all of this for you, linked to your Educators and Families? FDSee can do all of this for you. 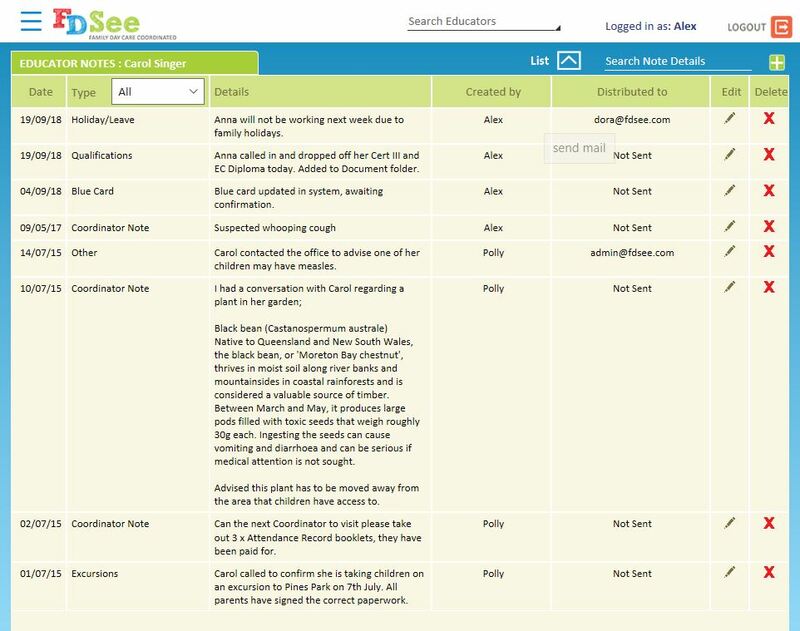 You simply enter the Requests for Care as they come in, assign your waitlisted or referred Educators and FDSee does the rest for you – sending emails to parents and Educators (and all these emails can be turned off and/or totally customised to fit your own process). When a child is ‘Placed’ all the details in the system are updated, the child is assigned to the Educator and automatically removed from other Educator’s Waitlists. Do you get many Requests for Care from families via your website? If you do, and you are like most Family Day Care Services, you will get them in an email – then you have to add them to your wait lists, and/or refer them to your Educators. 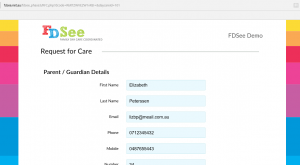 With the optional link we provide you can get all your website Requests for Care straight into your FDSee RFC list. All you have to do is open the ‘Website entered’ requests, check the right information has been completed, maybe give the parent a call, and hit ‘Save’ – and you guessed it, FDSee does the rest. Contact us to find out more – or you can sign up for a Free Trial today! Part of what we mean by Family Day Care Coordinated is the visibility FDSee gives you about what is going on in your Service. At a glance you are able to see who is visiting who and when, if the visits are due or overdue (based on each Educator’s individual needs), and if visits have been completed (in real time). FDSee has a standard colour code throughout; red meaning overdue, blue meaning due within 7 days and green meaning due in more than 7 days time. In the calendar, grey means the visit has been completed and a report finalised. 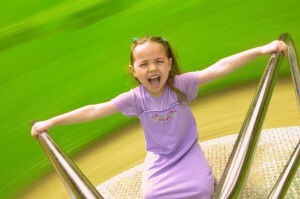 We are now taking expressions of interest for a limited number of services to trial FDSee for FREE. You can then see just how valuable it is, as we are confident you will immediately start saving time and money. Click on the button below and you could soon have your own window on your Family Day Care Service. 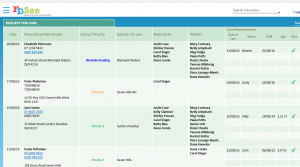 With FDSee visit planning and placements are easy with a full map showing all your active Educators. You can even go down to street view if you haven’t visited before.